We are the creators of the way we live our lives. Life is the path and One Brain helps you to walk this path freely and with more joy. This is thanks to the fact that it relieves the stress that prevents you from the realization of your new choices. 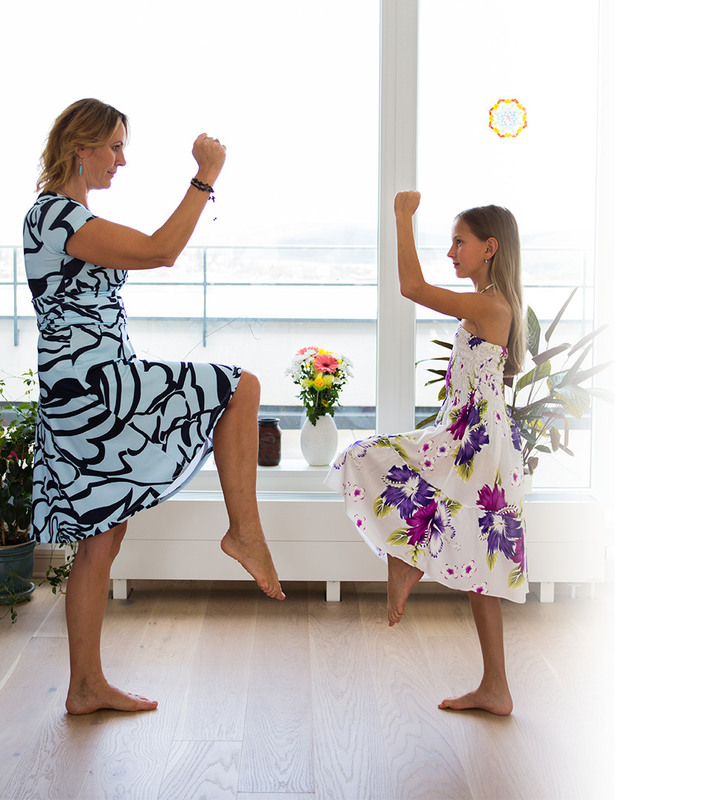 I adapt yoga exercises to the individual needs of everyone regardless of age. Yoga contributes to the harmonization of the body, mind, and soul. This is a technique that brings deep relaxation to your body and mind with the use of essential oils from the company dōTERRA. In today’s modern age our lives are made easier by a variety of conveniences while at the same time challenged by a host of stressors. Even though stress is as ancient as prehistoric times, today it is at a much higher level. The stressful situations that we experience occupy our mind and block the flow of energy in our body and very often also reflect on our physical well being. Just try to imagine what would happen if the situations that cause the stress in your live, stop being stressful? What incredible benefits it would bring both mentally and physically. Some of the benefits would include more peace, satisfaction, balance, energy, creativity, success, more time to yourself, more joy and more intense perception of the beauties of the moment? If you wonder how it might be possible to achieve that level of peace and tranquility; the answer is that there exist many ways. But the first step is to stop, be aware of your stress, and make a conscious decision to be proactive and make necessary changes in your life. 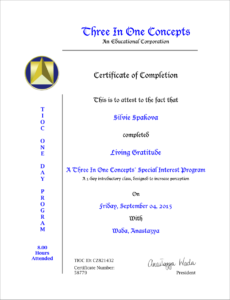 You enter life as an original and unique beings; and since birth, you experience interpersonal relationships with family, friends, and colleagues that influence you and form your character. These relationships and influences take you further from your essence, and you soon forget who you are. What is One Brain – Three in One Concept, and how does it work? 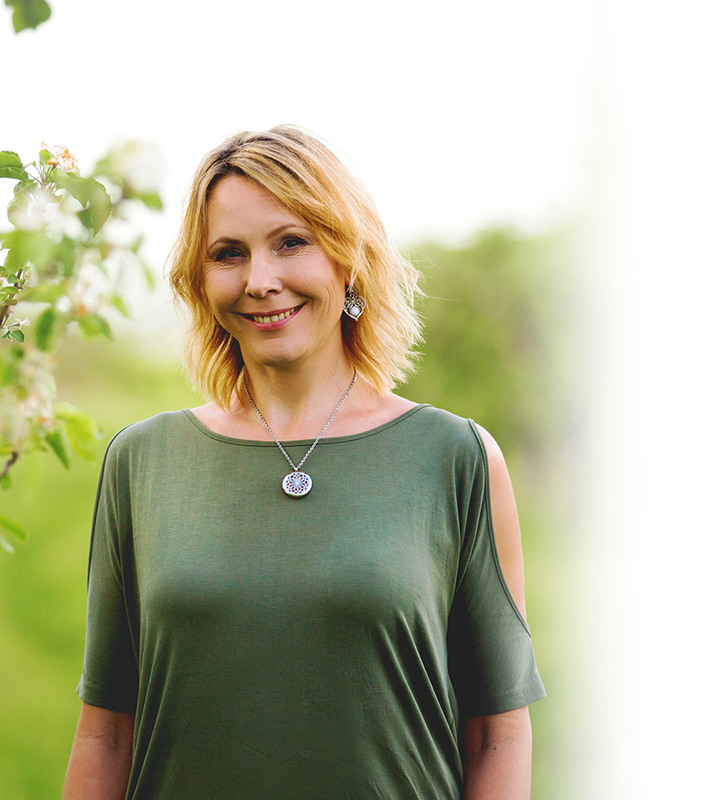 This is a very gentle and efficient kinesiology method that could help to solve the different kinds of problems that resulted from the negative emotional experience. It is interesting that these situations in our lives tend to repeat themselves, and we constantly ask ourselves why. It is through One Brain that you are able to change the way you perceive these stressful situations and so to dissolve the emotional blockages. It is thanks to specific muscle tests that we are able to determine which blocked emotion has been manifested and at what age the blockage occured in your behavior. This becomes your unique way to react in moments when you have find yourself in similar situations. One Brain makes it possible for you to find an infinite range of the possibilities that work towards you feeling the way you wish to feel. 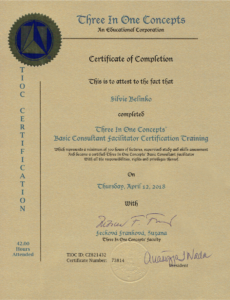 One Brain – Three in One Concepts is a specialized kinesilogy method under the international faculty „Three in One Concepts“ (integration of Body, Mind and Spirit). Among the founders of the system are Gordon Stokes, Daniel Whiteside and Candace Callaway (more about on www.3in1concepts.us). The name One Brain is derived from the ideal functioning of the brain where the left and the right brain hemisphere are complementing mutually and cooperatively. 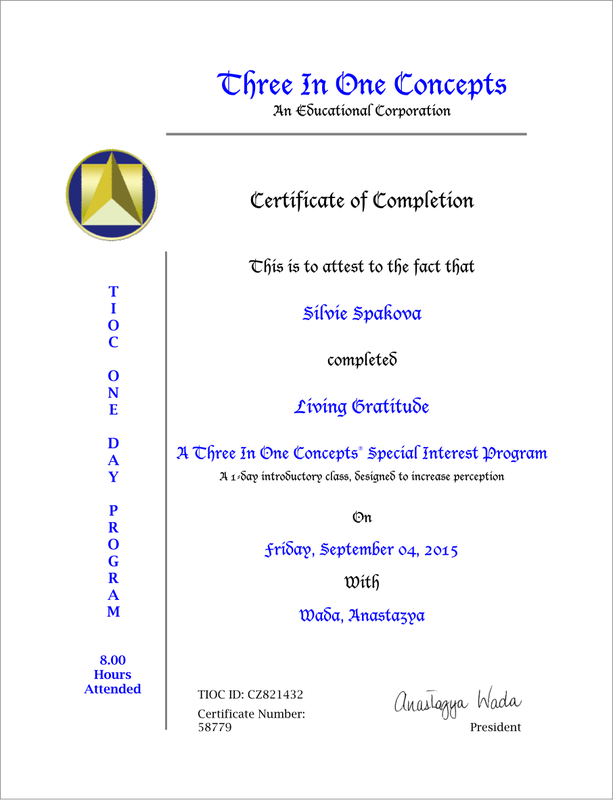 The session begins with an introductory discussion centered on the topic that is most important to you at that moment. The muscle test serves to identify the causes of the emotional stress and to determine the corrections necessary to relieve it and to induct the natural flow of the energy in the body that was blocked in as a result of the stress. Very often the blocked emotions have their roots in childhood. The end result of the session is the total relief on the body, on the mind and on the soul and the new choice to try to do things differently. Even though we can’t change people or circumstances that surround us, we certainly can change our personal attitude as to how we cope with the stressors in our lives. We change our present and the future by the unlocking of the negative emotions from the past. 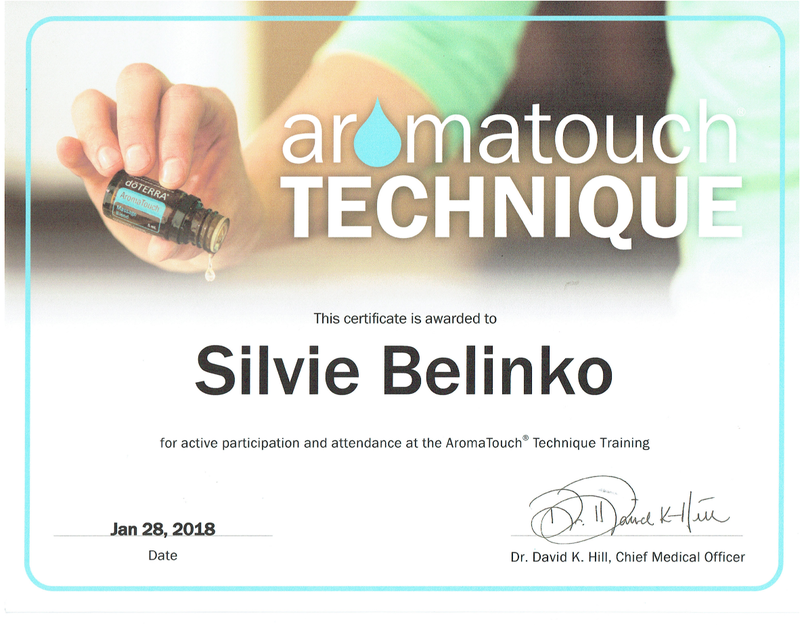 AromaTouch is a technique that brings your body and mind deep and long-term effects. Selected essential oils are applied to the client’s back and feet. 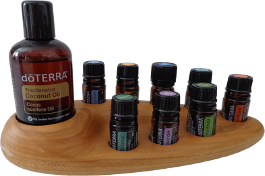 AromaTouch Technique uses CPTG Certified Pure Therapeutic Grade essential oils from the company dōTERRA. Each batch of essential oils goes through rigorous testing to ensure that it meets strict standards of quality. 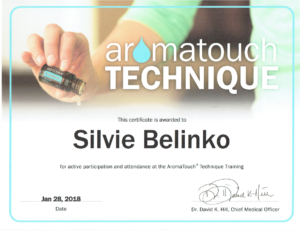 AromaTouch technique increases the effects of the essential oils. This technique was put together by Dr. Hill who is experienced and recognized as an expert in the domain of the aromatherapy. Dr. Hill joined the knowledge of the west along with eastern medicine to maximize the influence of essential oils. Yoga has been a constant in my life since 1999, and over the course of the past 5 years, in the rainforest of Costa Rica, I have introduced individuals from many parts of the world to the magic of this ancient discipline. It is time to slow down to the speed of life and benefit from both the physical and mental energy that yoga can afford you. There is a science to yoga, and at the beginning of the exercise we focus on calming your mind; the exercises which are designed for your individual needs focus on stretching your whole body. At the end of your session, we focus on relaxation. 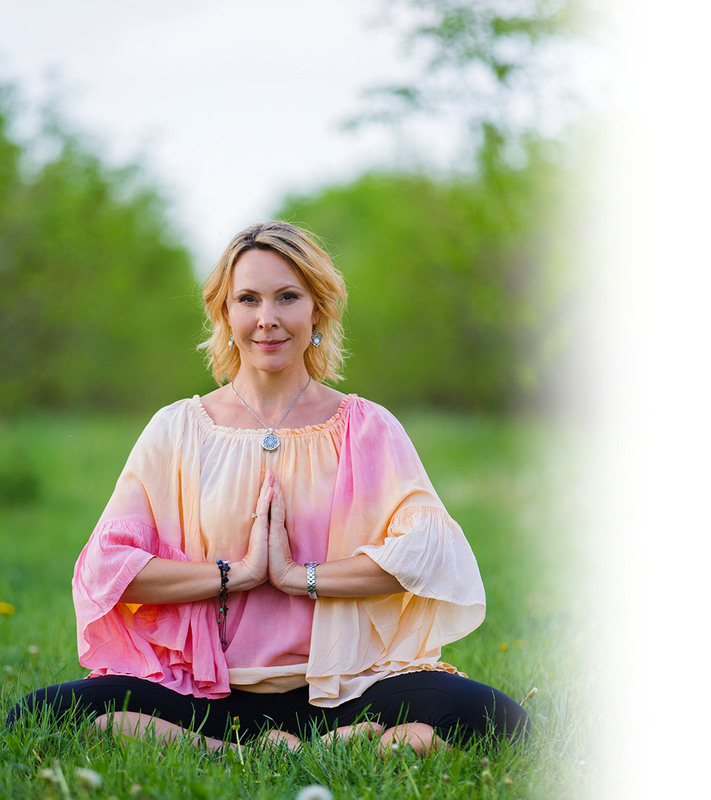 Come experience how yoga can release stress and harmonize your body, mind, and soul. Born in Novy Jicin, in the beautiful Beskyd’s region, I was driven to Brno in order to pursue my passion for the French language. It was in Brno that I studied both French and Russian at the philosophical faculty of Masaryk’s university. 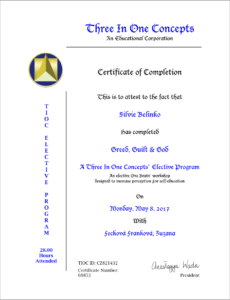 Shortly after my studies in 2000, I started teaching in language schools and working for a Czech company conducting business in France. In 2007 I gave birth to my daughter Sophie, and in 2009 moved to Prague whereby I started to work as an accredited guide of Prague; at the time I also taught in a private French kindergarten school. My introduction to the kinesiology method of One Brain was instrumental in helping me survive a tumultuous time whereby problems in my marriage escalated. I found the strength to leave my non-functional marriage and to move back to Brno even though it was very difficult from both an emotional and financial point of view. When I realized how well One Brain worked during that stressful time in my life, I wanted to better understand this vehicle to better health. Therefore in 2012 I started to study the kinesiology method One Brain – Three in One Concepts. After many years of study, I became a facilitator consultant of One Brain. It is through this concept that I have witnessed so many people make new and exciting choices in their lives. Amongst my many passions, yoga has been a constant in my life since 1999, and over the course of the past 5 years, in the rainforest of Costa Rica, I have introduced individuals from many parts of the world to the magic of this ancient discipline. I have also recently developed a passion for the amazing benefits of the essential oils of dōTERRA. My motto in my life has always been “ My God, give me the courage to change the things I can, the serenity to accept the things that I can’t, and the wisdom to know the difference between what I can and cannot change“. (The prayer of the Francisco from Assisi). Today I feel that the prayer turns us towards the God, that is already in each and every one of us. And it is up to us to make the changes necessary in our lives. I have struggled with finding a name for my website for a longtime. Recently I registered the domaine name kineziologie-silvie. Despite having already registering a name, I still thought that I wanted a more sophisticated name. I thought of many different ideas, most which were more complicated, and suddenly a light came on in my mind: Why choose a complicated name, when it is possible to use a simple one? The name Silvie comes from the word silva in latin; and it means the forest. A walk through the forest relaxes us and we enjoy the different aromas, including the sweet sap from the trees amongst many other essences. When we do yoga in the forest it naturally increases the benefits of that exercise. So I came to realize that my first choice, my first instinct, was in fact the right one. Besides simplicity there is also beauty.